Thanks to Dave Hernandez, I got a call from Johnny Green last week. 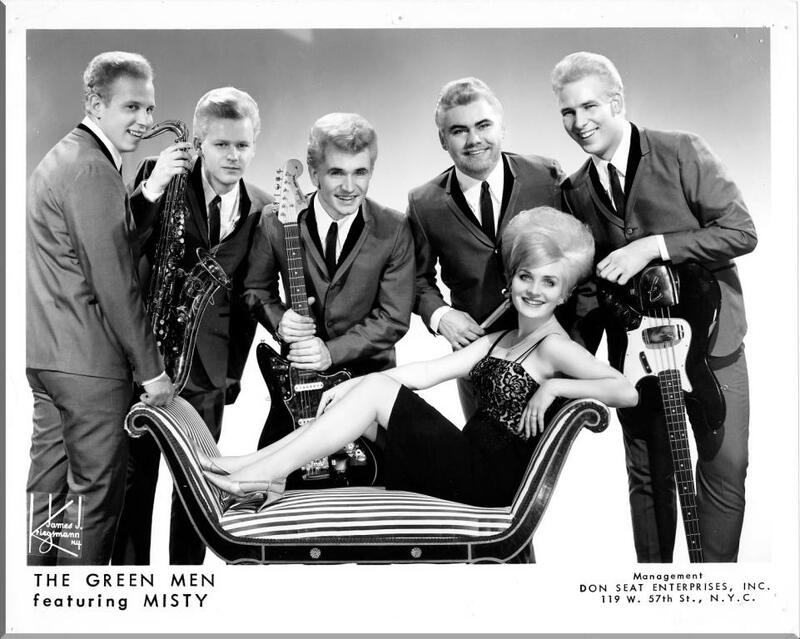 Remember Johnny Green & the Greenmen? Great show band with dyed green hair! Had a very interesting conversation with him as he fondly recalled playing at the Pop House and his friendship with George. Johnny & the Greenmen have played all over the world and are still at it. They appeared on the 1966 Batman TV series, opened for a Rolling Stones tour, and continue to be a top attraction in Las Vegas. In 2003 Johnny received a Lifetime Achievement Award from the Minnesota Rock Country Hall of Fame. He now sits on their Board of Directors. The Greenmen were inducted in 2004. Johnny posted some interesting comments on various blog items and I urge you to read them. Thanks for your input, Johnny. This publicity shot was posted on the Pop House bulletin board to promote a show there in the early sixties. You can read more about the band at the official Johnny & the Greenmen Web site.